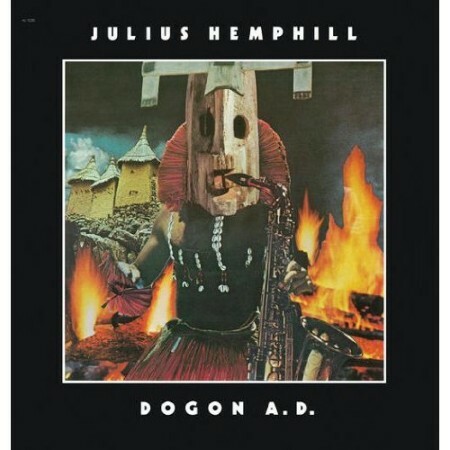 In 1995, saxophonist Julius Hemphill passed away, after having given the world two decades of fantastic music, be it with his own records, or with the World Saxophone Quartet. He was a free thinker and improviser, but he liked themes and rhythm at the same time. 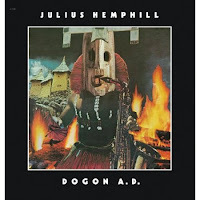 Two major things are happening now : his brilliant debut album "Dogon AD" is re-issued, and No Business dug up old recordings and released those as a new album. I can encourage you to read Tim Berne's interview in which he describes Hemphill as a person and as a musician. 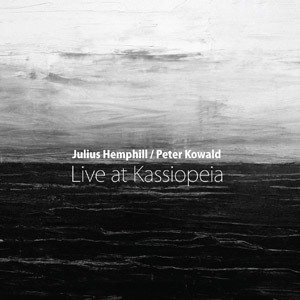 On the first disk of this double CD, we find Hemphill playing solo on three pieces, and German bassist Peter Kowald solo bass on one long track. On the second disk, both artists perform duets. The performance was recorded on January 8, 1987 at "The Kassiopeia" in Wüppertal, Germany. It is pretty unique to hear Hemphill play solo, mainly on alto, and it is a real treat. His playing is playful, jazzy, rhythmic, using phrases from old jazz traditionals and from the blues, and with an incredible sense of focus, he keeps close to the path he embarked on when starting his improvisation, and as a result the three tracks clock around six or seven minutes. Kowald is something else : his approach is more open and shifting with the new ideas coming, moving into different directions and developing his improvisation over more than thirty minutes. We have heard Kowald play solo before, but again his great mastership on the bass is demonstrated here, pizzi and arco, as well as his incredible musical vision of what music can express and how it can be presented. 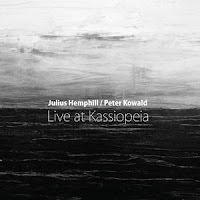 The second CD is the real treat, starting with bowed bass and screeching alto, and I must say that Hemphill sounds a little unsure of what to do until he starts playing more rhythmic phrases, immediately picked up by Kowald for a really strong interaction. The second improvisation is the pièce-de-resistance with both artists starting to feel really comfortable with the set-up and playing up a storm, full of intensity and sensitivity, with moments of high energy alternated with calmer passages, and especially the latter are excellent. The last track is exceptionally short, and starts with an arco and some crazy and wild ideas by Hemphill, playful, with all sorts of funny phrases interspersing his normal playing. I'm not sure whether this was an encore, but it sounds like it. In any case, the audience is happy, and so are we. Out now, again, and no doubt the reissue of the year, with Julius Hemphill on alto and flute, Baikida Carroll on trumpet, Abdul Wadud on cello, and Philip Wilson on drums. The original album is thirty-eight minutes short, and actually the title track is without a doubt the piece that carries the album's legendary value. Listen how Wadud and Wilson's economic and repetitive playing leads to a trance-inducing hypnotism over which Hemphill and Carroll make their instruments express any mode and mood possible. On the re-issue "Hard Blues" was added, a track that was recorded during the same session and with Hamiett Bluiett on baritone saxophone. This is one of those albums I've heard about (lots), but have never heard. But I've heard Flat-Out Jump Suite many times. So will have to check this one out. Duos with PK would also be a treat. Six stars, I love it. Would this be the equivalent of the Penguin Guide to Jazz "crown" of older editions. If there were a list of "Stef Crowns" what would they be? everybody with normal ears would give 6 or more stars to dogon a.d.